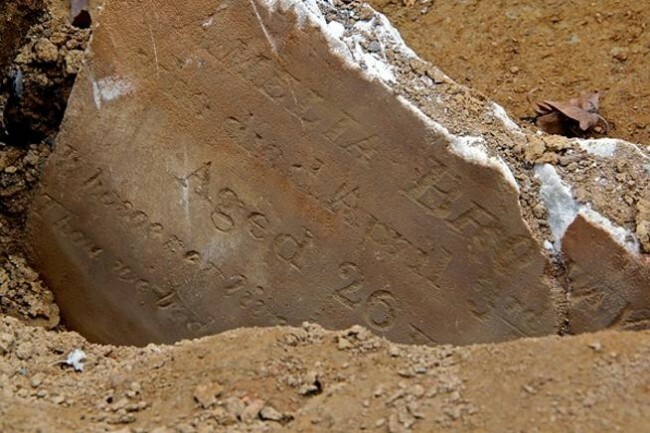 Five-year-old Hannah L. Andrews died this date, January 31st, in 1848 due to an Inflammation of the Bowels. She was the daughter of William (27) and Ellen (21) and sister to Sarah (5/a twin ? ), John (3), William (2) and new newborn Charles according to the 1850 Federal Census. All were natives of Pennsylvania. John was a Hostler which is a person employed to look after the horses of people staying at an inn or hotel. For this, he made $12 a month or approximately $300 in today’s currency. Ellen worked as a laundress earning $10 a month ($250). They rented a room at 66 Passyunk Road for $3.00 a month according to the 1847 African American Census. The red arrow is the location Bethel Burying Ground and the black arrow is the Andrews’ residence. *Philadelphia Inquirer, 15 July 1844 and 23 April 1845.